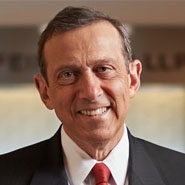 Herrick partner Ron Levine addressed the latest developments in food litigation before an audience of Harvard Law School students and professors. Ron was joined by Faith Greenfield, Vice President-Legal for Campbell Soup Company, and Don Barrett, a plaintiffs' attorney from Mississippi, who is counsel in a number of consumer fraud class actions against food manufacturers. The program was sponsored by the Harvard Food Law Society and moderated by Harvard Law Professor Jacob E. Gersen. Ron presented the defense perspective. In response to the plaintiffs' argument that class actions are necessary to resolve claims concerning food labeling, Ron explained that product labels should not be addressed in state-by-state lawsuits. Rather, national food labeling standards should be set by qualified federal agencies – the FDA and the USDA. He also reviewed the difficulties the food industry has been facing in defending these cases. In doing so, he addressed how the plaintiffs' bar has been using social media to fuel their claims, and how the highly competitive food industry has faced difficulties in offering an effective, industry-wide response. He also explained why class actions have been profitable for the plaintiffs' bar, but have generally delivered minimal, if any, compensation to class members. This program highlighted the great interest in food law at law schools. Besides this recent event at Harvard Law, Ron also chairs the External Advisory Board for the Rutgers University Institute for Food, Nutrition and Health, another university which has focused on this area of study.